New Twist In Mandana Karimi’s Domestic Case Against Husband Gaurav Gupta Will Leave You Shocked! As earlier we reported, Ex Bigg Boss Contestant Mandana Karimi, who recently got married in January 2017 with Gaurav Gupta, has filed a case against her husband. Just a few months after her marriage, Mandana knocked the doors of the court against her husband alleging domestic violence. She has also alleged harassment by her mother-in-law. Mandana speaking to different sections of media stated that she was not allowed to work and was asked to stay at home by in-laws. The shocking thing that Mandana revealed is how her in laws and Gaurav Gupta have moved on in life and she is still penniless. The ‘Kya Kool Hai Hum 3’ actress further revealed that she is living in a house since weeks without any money and is not allowed to enter her matrimonial house. Mandana’s brother-in-law Gautam is a popular TV actor, who was seen in Ekta Kapoor’s Meri Aashiqui Tumse Hi. The actor recently got engaged to his ex-co-star Smriti Khanna. 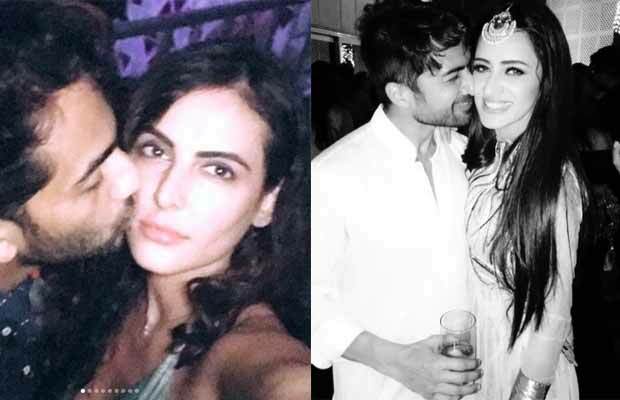 Take a look at Gautam and Smriti Khanna’s photo with Mandana Karimi on her birthday. Breathe me in, I’m yours to keep ?